My friend Bob Grunst has a new book of poems out. He sent me a copy weeks and weeks ago, and I have yet to thank him, and to congratulate him on his latest publication. Bob knows more about flora and fauna than anyone I have come across. Lately, he has been traveling to points far and wide — South America and India. He lives and teaches in Minnesota, and I recommend his work to you, and if you ever have the chance to hear him read his poems or to meet him, you will find him to be a gentle and magnanimous person. Not that long ago, Bob praised the work of Robert Hass, and today in a bookstore I saw a new collection of essays by Hass, What Light Can Do. My guess is that Bob would recommend the Hass book to all of us. Supporting poets seems a most worthy cause. 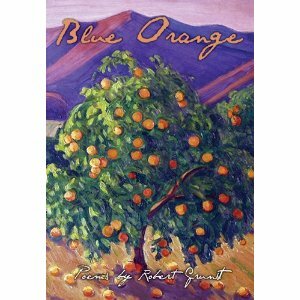 This entry was posted in Art, Books, Language, Literature and tagged Blue Orange, Poetry, Robert Grunst, Robert Hass, What Light Can Do. Bookmark the permalink.